Our bodies can easily be deficient in the important mineral magnesium and Vitamin B6, particularly if we make poor dietary choices, exercise hard or deplete our bodies of essential minerals. 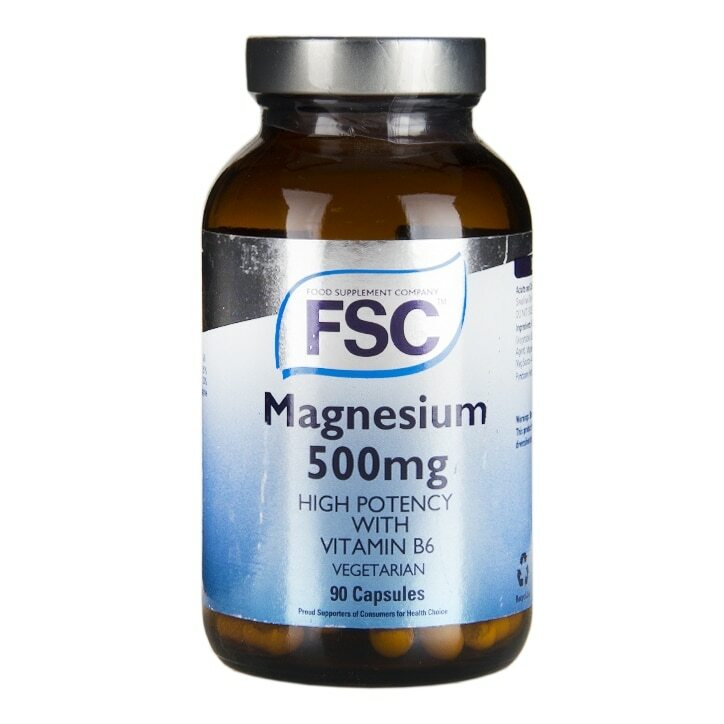 Magnesium is a restorative mineral, contributes to the maintenance of normal energy-yielding metabolism, normal bone health, nervous system function and muscle function.FSC magnesium and Vitamin B6 capsules are a great way to supplement with these two important compounds, and come in a vegetarian capsule. One capsule per day with a meal. Magnesium Oxide, Vegetable Capsule Shell (Hydroxypropylmethyl cellulose), Magnesium Malate, Magnesium Citrate, Anti-caking Agents: Silicon Dioxide, Magnesium Stearate*; Vitamin B6 (as Pyridoxine Hydrochloride). *Vegetable Source.